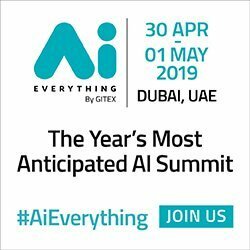 Rapid adoption of artificial intelligence (AI) solutions will increase the UAE's GDP by USD 96 billion by 2030, enabling organizations to better meet and predict customer and citizen trends and drive digital business innovation. As the UAE Strategy for AI guides nationwide transformation, AI and machine learning are entering the mainstream. PwC predicts that AI will contribute USD 96 billion in UAE GDP 2030. By industry, Accenture says finance (USD 37 billion), healthcare (USD 22 billion), and transport and storage (USD 19 billion) will see the biggest growth by 2035. "Artificial intelligence solutions can enable new innovations that can augment the existing workforce, optimizing costs, efficiency, and innovation. 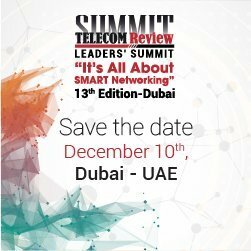 Banks can analyze credit and loan repayments, hospitals can predict patient treatment success, and government agencies can enhance mega-events management," said Savitha Bhaskar, COO at Condo Protego, the UAE-based IT infrastructure and information management consultancy and solutions provider. However, AI on its own is not enough. Organizations also need to have in place the next step, machine learning, where machines or applications learn from massive data sets, and uncover patterns that are largely beyond what people could uncover themselves. "AI and machine learning solutions should meet business needs, and not merely have futuristic technology for technology's sake. The massive computing power needed for AI and machine learning also means that organizations need to invest in high-performance information management infrastructure," added Savitha Bhaskar. Condo Protego is seeing strong UAE demand for Dell EMC high performance computing solutions, for faster, better, and deeper insights. Specialized channel partners can help organizations choose the infrastructure solutions that best meet their needs, across workstations, servers, networking, storage, software, and services.